When: April 6th through April 8th, 2018. 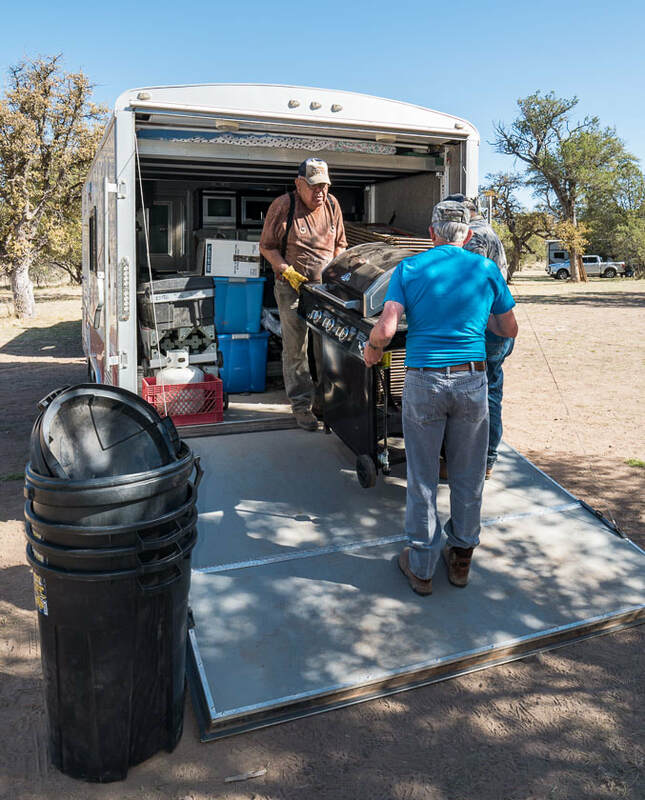 General Information: For another year, the Huachuca Gould’s Chapter of the National Wild Turkey Federation assisted the Arizona Game and Fish Department with turkey surveys in the Huachuca Mountains and Canelo Hills of southeastern Arizona. Routes were run in the nearby Patagonia Mountains this year as well. 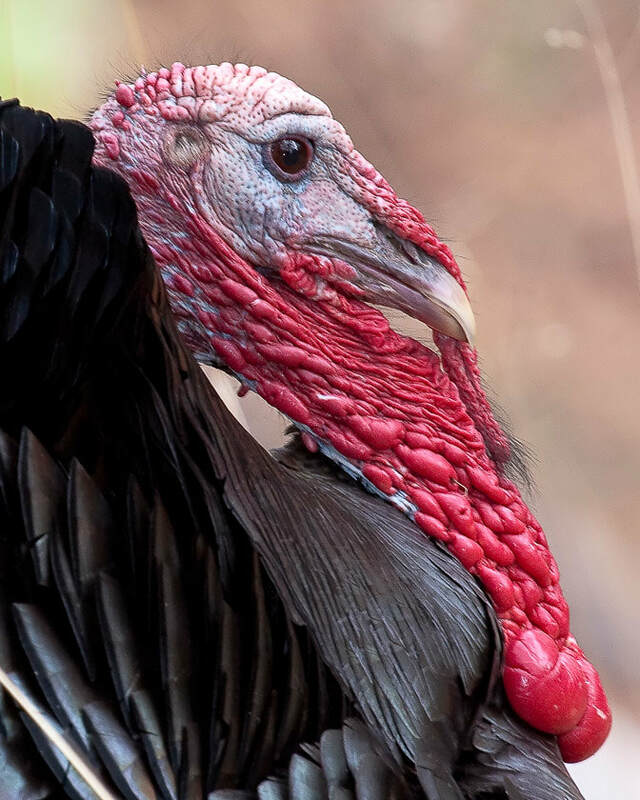 Results are used to determine population sizes, recruitment rates, and future hunt permit numbers for Gould’s Turkeys in Department Units 35A and 35B. 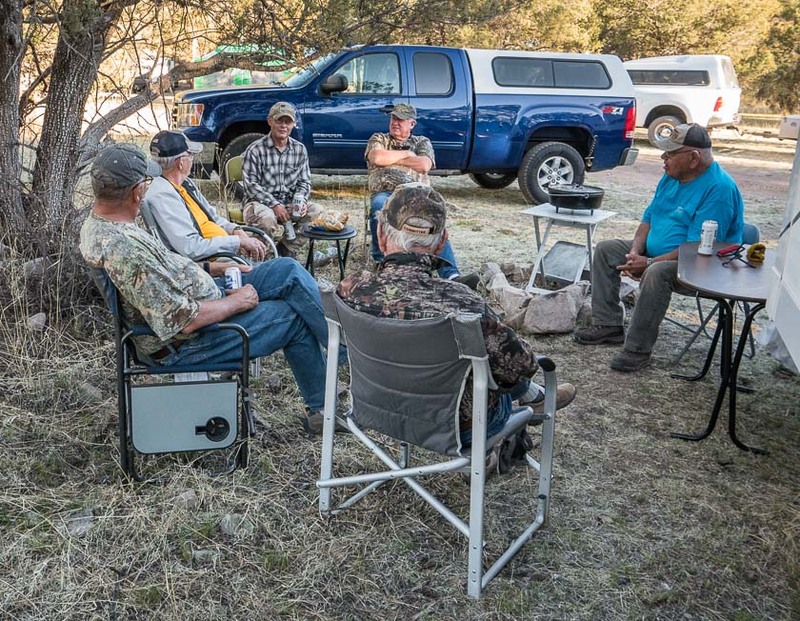 The Chapter established Base Camp near Parker Canyon Lake for the 3-day survey. 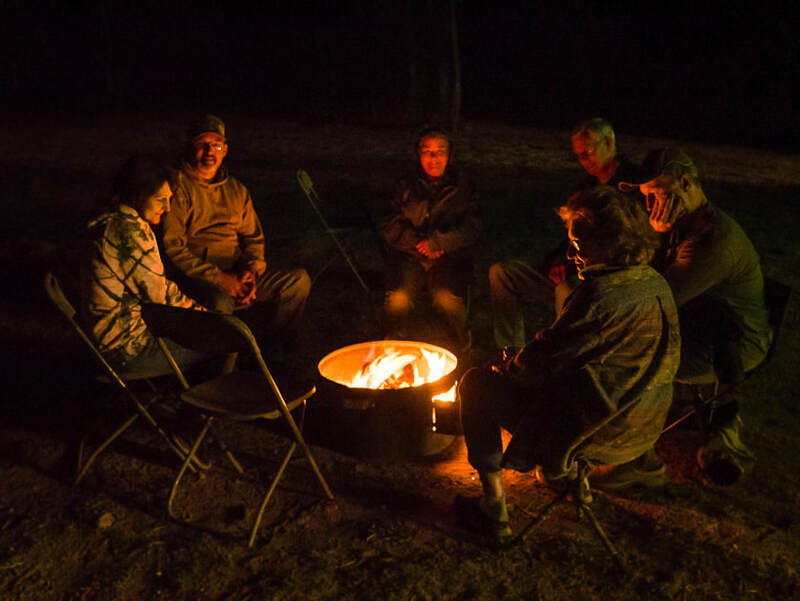 After long hours in the field, the busy camp crew provided hearty meals for the surveyors from dinner on Friday evening to breakfast Sunday morning. Dinner Saturday night was especially tasty. 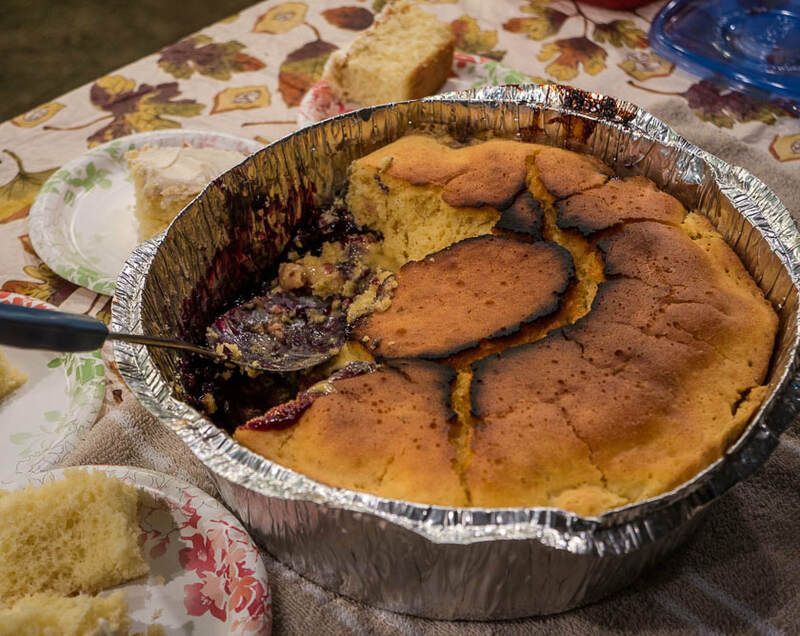 The chicken cheese enchiladas, frijoles, rice, salad and drinkers were followed with Bob Pourier’s famous Dutch oven cobbler. 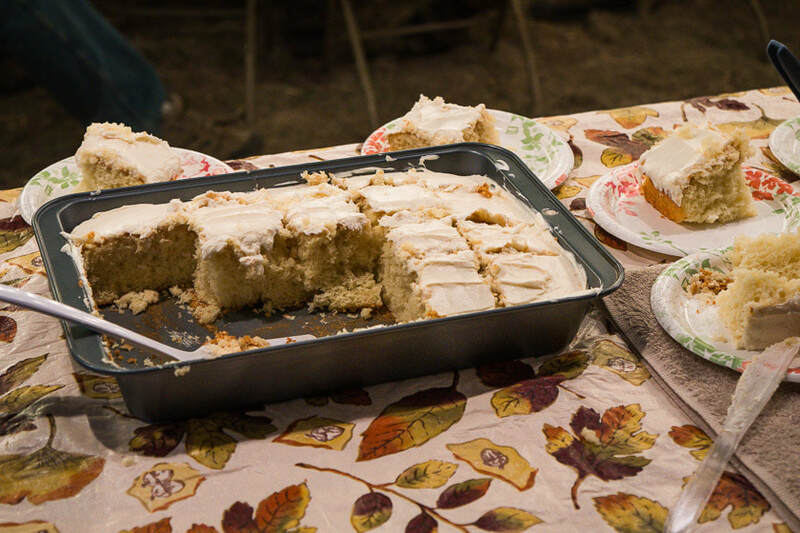 Oh, Toni Sterner’s birthday was celebrated with a candle-lit cake as well. Surveys went afield again Sunday morning to cover a few remaining routes. Camp breakdown began after breakfast later in the morning. 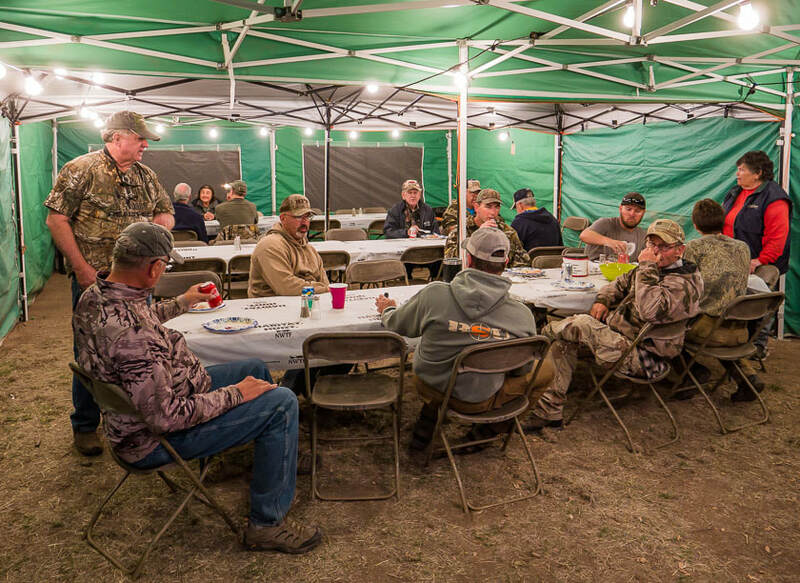 About 25 turkey enthusiasts worked out of the base camp this year. 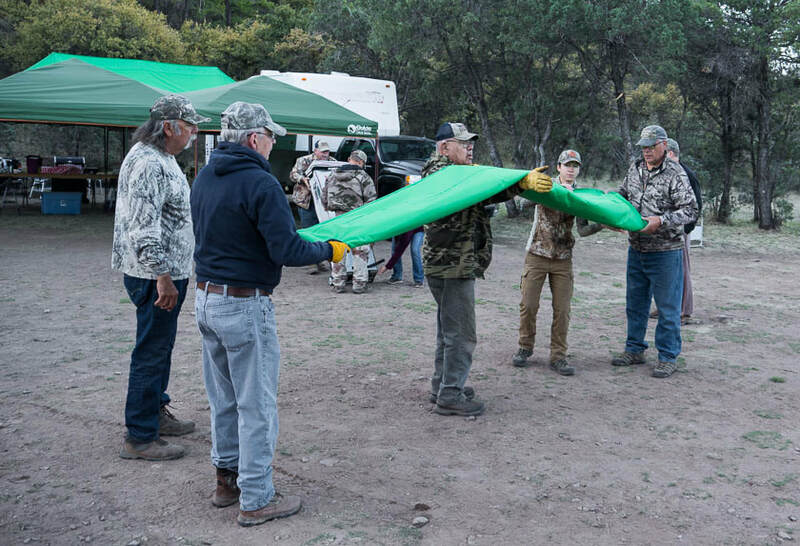 Most were representatives from the Arizona Game and Fish Department and members of the Huachuca Gould’s Chapter. Several private landowners participated, also. A few permit holders for the upcoming Gould’s hunt learned more about the locations of birds as well. Survey results will be added to this report when they are available from the Arizona Game and Fish. 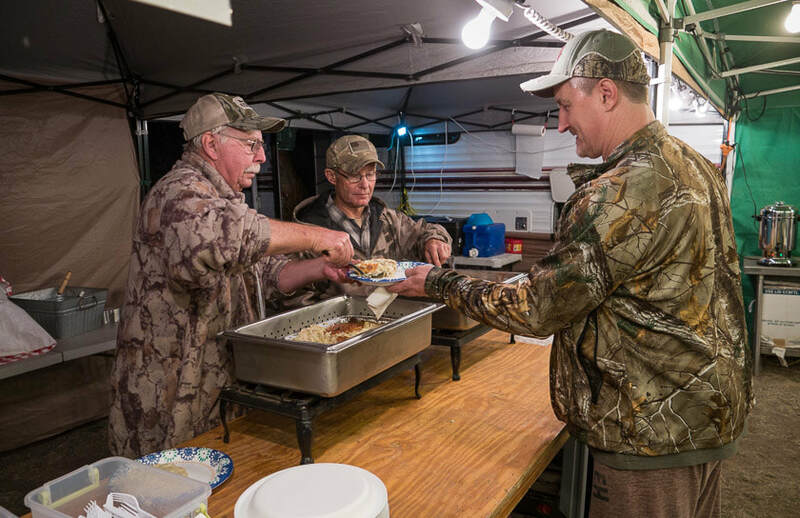 Special thanks go to Dave Kemnitz, Rene Dube, Wayne Kaiser, Joey Fuller, Tom Fuller, Bob Pourier, Toni Sterner, Chris Sterner, Randy Keiller, and Dave Inman for preparing and serving the meals and setting up base camp. They were assisted by John Millican and Tom Deecken. 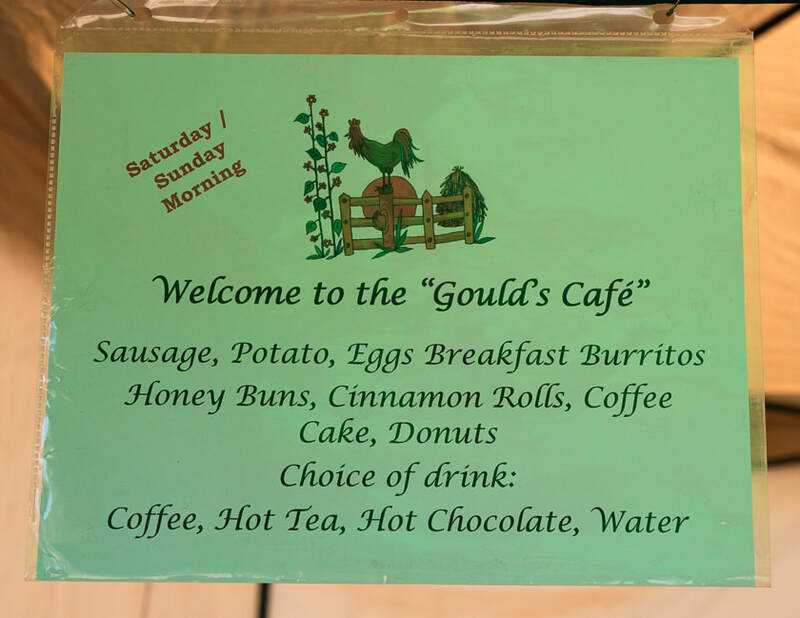 All are active members of the Huachuca Gould’s Chapter. 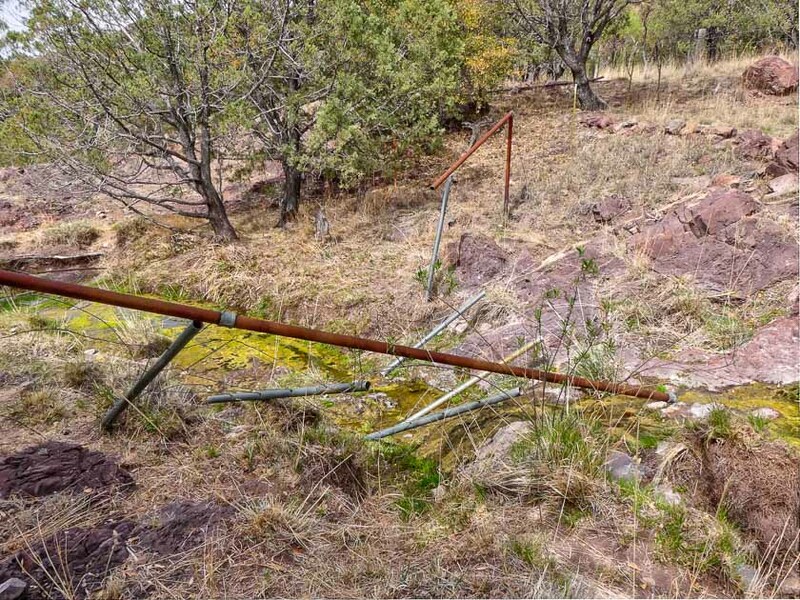 001 Survey Area- Oak woodlands, pine forests, and riparian bottoms made up the majority of survey areas in the Huachuca Mountains and Canelo Hills. 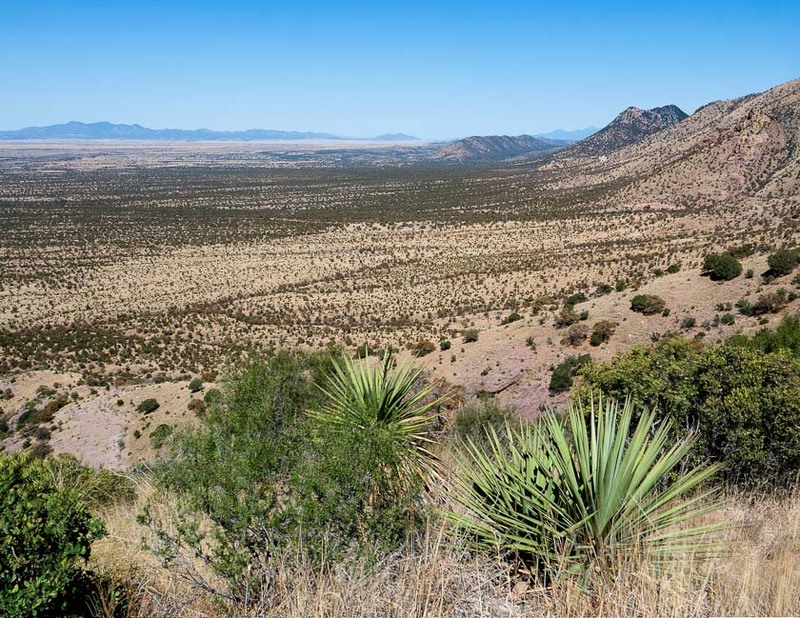 This view is looking northeast into the Cave and Oversite Canyons basin. 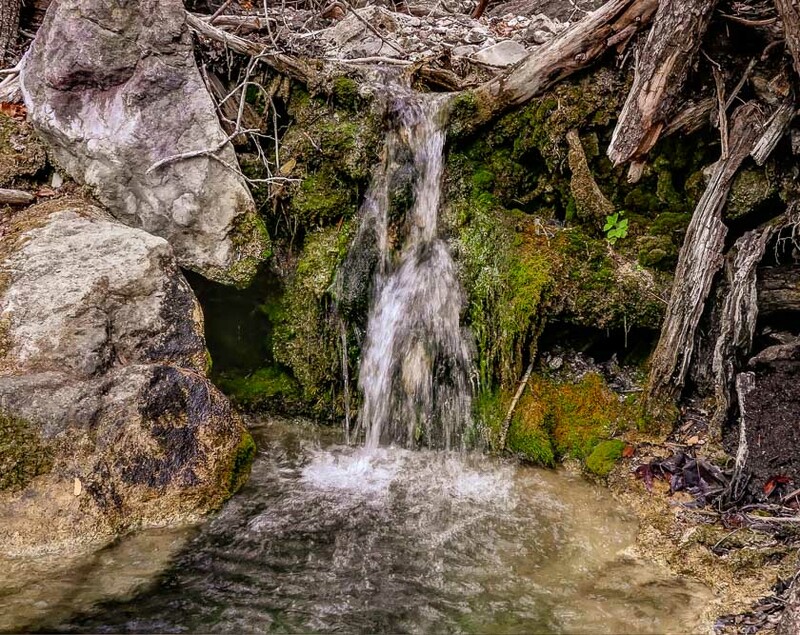 003 More Water Nearby- Once again water was flowing in upper Bear Creek of the Huachuca Mountains. An old, inactive turkey roost was found nearby. 005 Repair Needed At Van Horn Exclosure- Every year during the survey, Huachuca Gould’s Chapter wildlife projects are inspected. This year, the water gap was down at Van Horn Exclosure near Wakefield Camp in Bear Creek. A gobbler was heard nearby on Saturday morning. 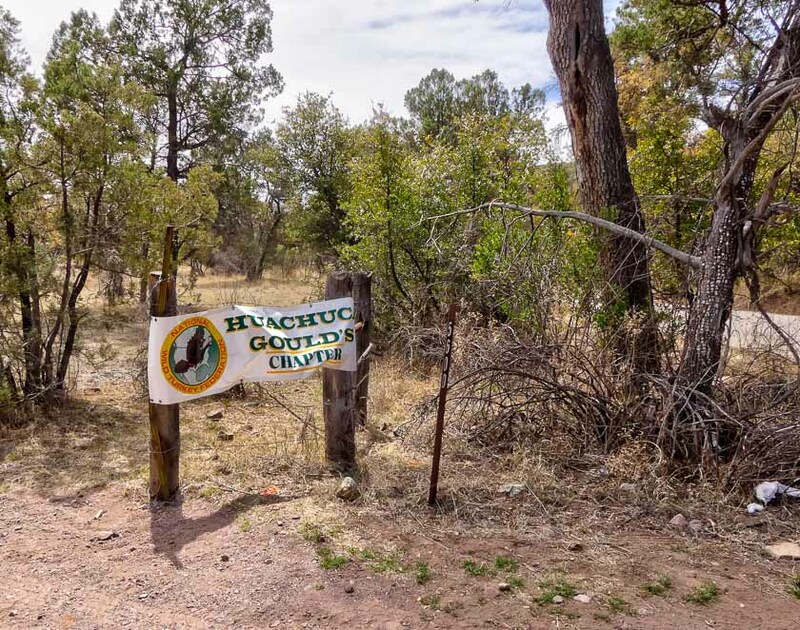 006 Base Camp- The Huachuca Gould’s Chapter banner marks to the entrance to Base Camp. 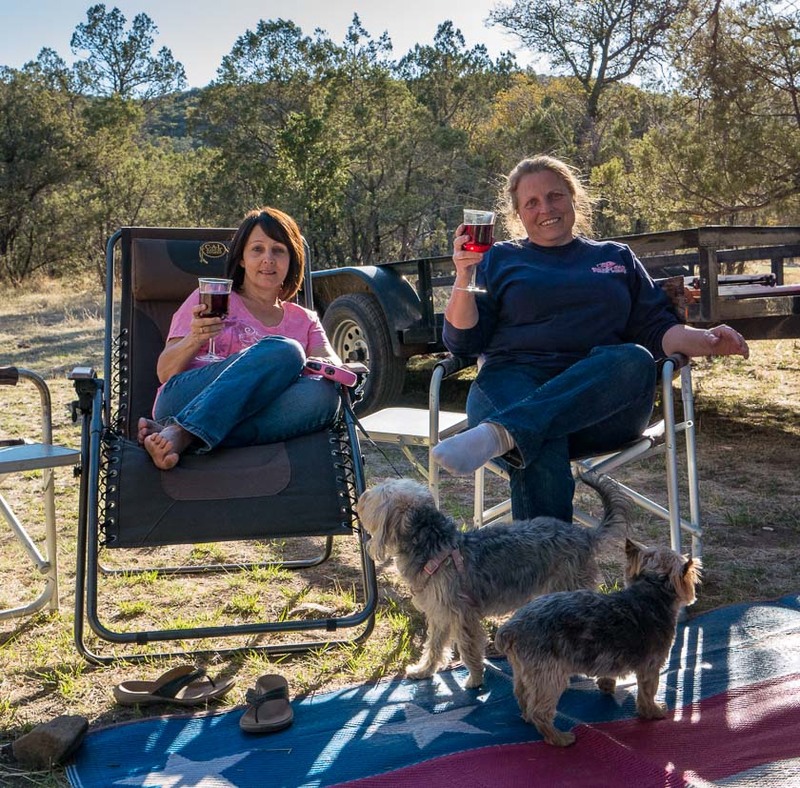 Camp was a little west of Parker Canyon Lake and just off of Highway 83. 008 Camp Bosses Retreat- Meanwhile, Camp Bosses Toni Sterner (left) and Joey Fuller relax in their own way. 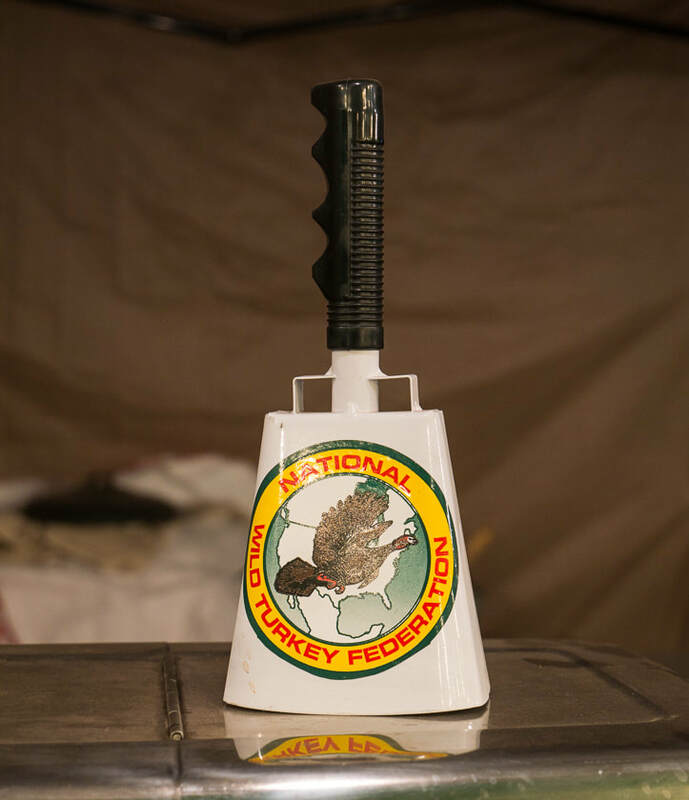 010 Come And Get It- The Huachuca Gould’s cow bell means dinner is ready. 017 Breaking Down Camp- The packing started just after breakfast Sunday. Folding the canopy are (left to right) Phil Gonzales, Dave Inman, Bob Pourier, Brittany Oleson, and Dave Kemnitz. 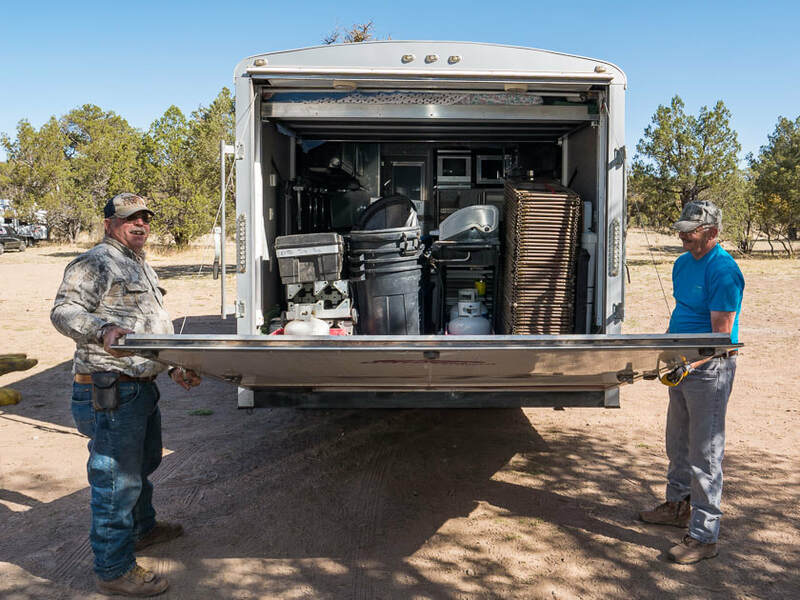 019 It All Fits!- Wayne Kaiser (left) and Dave Inman close the barn door on the loaded camp gear. Every item had its place. Time to head for home. 020 A Good Bye Look- From Montezuma Pass much of the survey area can be seen. 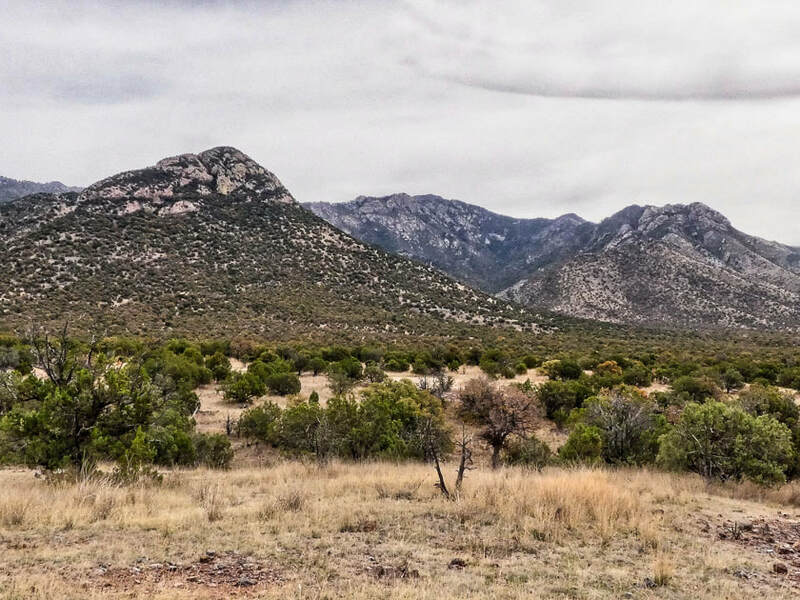 Both the Santa Cruz and San Pedro Rivers originate on the west flank of the Huachuca Mountains. The Patagonia Mountains are in the background. 002 Water Development- Water sources throughout the survey area were checked for sign. 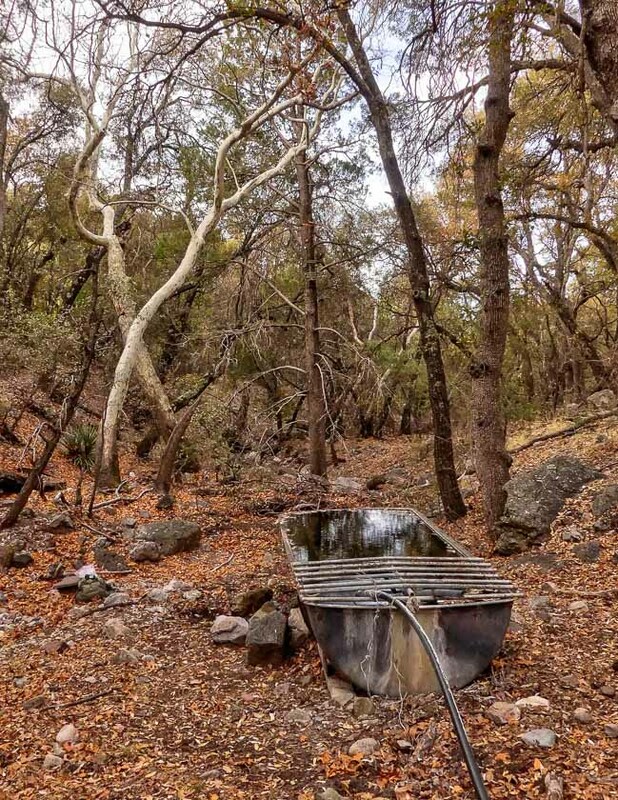 This converted aircraft engine storage compartment is in upper Bear Creek. 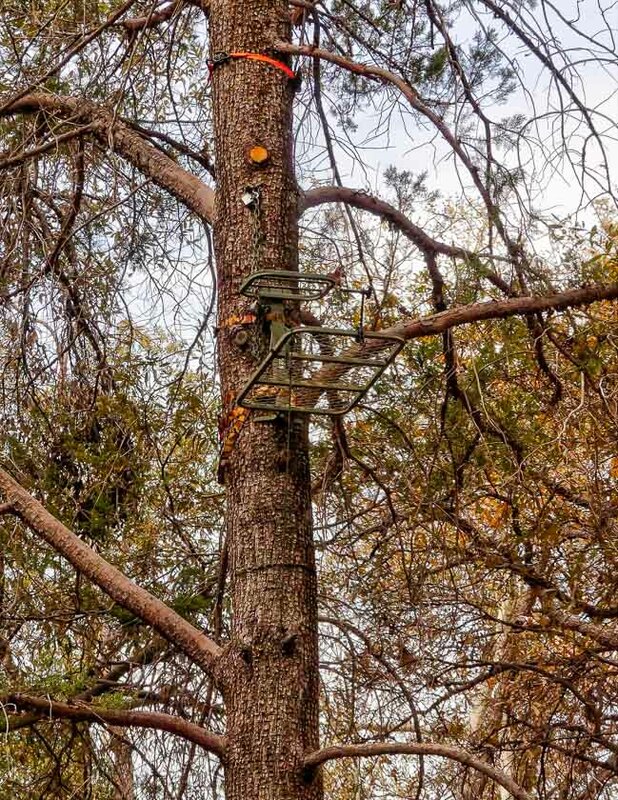 004 Getty Ready For A Hunt- Bear season must be coming up as evidenced by this tree stand in upper Bear Creek. 007 Saturday Afternoon Tale Swapping- John Millican relates another “growing up in Bisbee” story. Intently listening(?) clockwise on John’s left are Randy Keiller, Bob Pourier, Rene Dube, Dave Kemnitz, and Dave Inman. 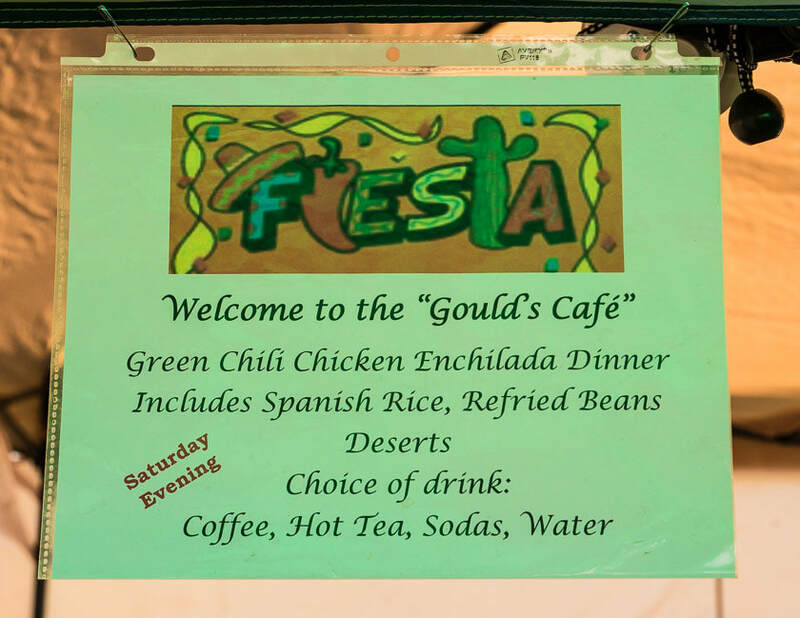 009 Saturday Dinner Menu- Mexican food sounds really good! 011 Chicken Cheese Enchiladas Coming Up- Tom Fuller (front) and John Millican do serving duties at dinner Saturday night. 018 Will It All Fit?- Dave Inman (front) and Bob Pourier load the grill with the rest of the camp gear. Is there room? 021 See You Next Year- Good luck on the upcoming hunts!